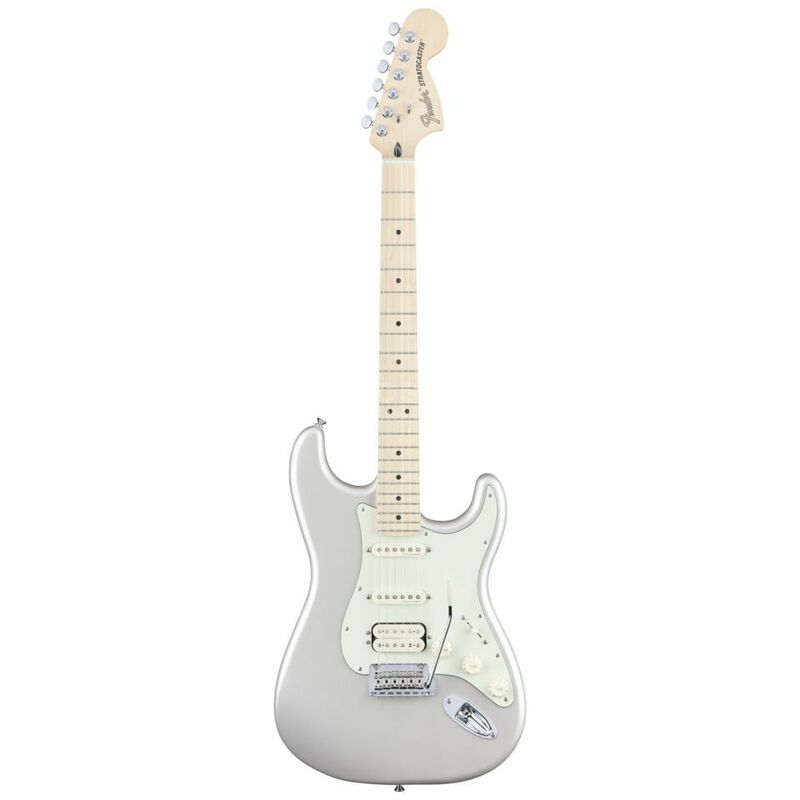 The Fender DLX Stratocaster Electric Guitar HSS MN Blizzard Pearl is a 6-string electric guitar, featuring an alder body, a maple neck, a maple fretboard, HSS pickups, and a blizzard pearl finish. The rich, warm humbucking bridge pickup adds a touch of thickness to the instrument’s voice, while special electronics ensure traditional Strat tone is close at hand; ready to go at a moment’s notice. Two noise-free, highly articulate Vintage Noiseless pickups inhabit the neck and middle positions, cranking out traditional, crisp Strat tones. The Twin Head Vintage humbucking pickup in the bridge position has moderate output, warm tone and even string response, as well as including a thick aluminium base plate to reduce magnetic interference. For traditional Strat tones, simply tap the S-1 switch atop the volume knob to select the rear coil of the bridge pickup—voila, instant classic Strat sound. Enjoy smoother travel when using the tremolo bridge, thanks to the modern two-point synchronized design, which includes bent steel saddles for classic aesthetics. A contoured neck heel and 4-bolt asymmetrical neck plate make it easy to comfortably reach the upper registers of the neck. The flatter 12”-radius fingerboard makes it easy to play fast leads and perform deep bends without fretting out. Locking short-post tuning machines provide increased break angle at the nut for buzz-free playing and enhanced tuning stability, along with quicker string changes.